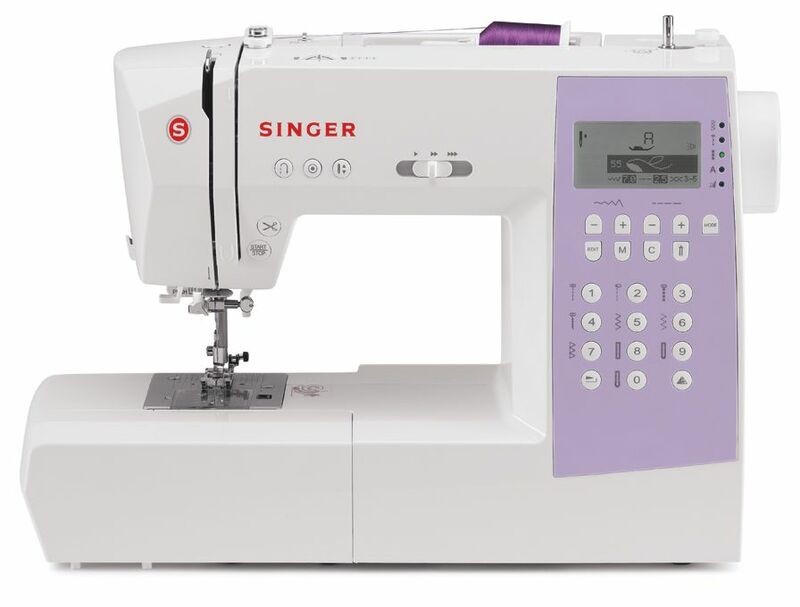 Singer H74 is a feature packed sewing machine. But it fails to impress with its performance. Some improvements are required. Actually this machine is the same as Singer 9340. Both machines are available at more or less the same price. Make sure that the machine is a new one and not a refurbished one. I personally don’t recommend refurbished sewing machines because I previously had some trouble with them. Singer H74 is a computerized sewing machine. The machine comes with 310 built-in stitches which include 10 one-step buttonholes. In total, there are 1000 stitch functions available. The machine even has an option for mirror imaging and stitch elongation (two features that you normally see on high end machines). You can elongate stitches for up to 5 times. Even more interesting is the fact that it has 2 built-in alphabets in upper and lower case. 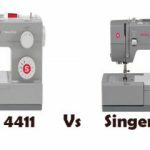 Being a computerized sewing machine, you will get a lot of bells and whistles with Singer H74. You have start/stop button and electronic auto pilot for sewing without the foot pedal. The machine has an automatic needle threader and an automatic thread cutter. Even though automatic needle threader is pretty common on all machines nowadays, automatic thread cutter is something that you won’t normally see on machines under this price range. So it is a welcome addition from Singer. The LCD display of this machine is easy to understand. There won’t be any trouble using it, I am not tech savvy and I found it very easy to use. The screen will tell you which foot to use and information about the stitch width and length (which are automatically set but you can override them). The stitch width can be set to a maximum of 7mm. 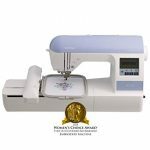 Singer H74 has programmable needle up/down feature which is really handy while removing the fabric or pivoting (a must have feature for advanced sewing machines). The machine has 13 needle positions and it also has electronic twin needle control. The extra-high presser foot lifter is useful while sewing multiple layers. The extra clearance always helps. Another good feature of Singer H74 is that you can store custom stitch patterns or letters in the built-in memory of the machine. You can store up to 20 different patterns on each of the 4 memory modules for future use. You can even edit those stored patterns. There is an error alarm which goes off if anything is wrong. The bobbin is easy to load as it is top drop-in. The clear cover lets you keep an eye on the thread supply. Independent clutch for bobbin winding disengages the needle bar while winding the bobbin (for safety). The automatic reverse and locking stitch functions lets you secure the stitches at the beginning and the end. It has a horizontal spool for easy threading. This machine comes with snap-on presser feet as well. The machine can sew at a maximum speed of 750 stitches/min (which is slightly on the slower side but you can’t make out the difference unless you really max it out). It has drop feed option for free motion quilting. There is also a removable free arm. The machine even comes with an extension table. The legs of the table comes with screw tows for better gripping. The stitch chart on Singer H74 is a card, which is removable ( I don’t know what difference that makes, probably Singer is trying to do something different). On-board storage is of decent size. You will also get a lot of accessories along with this machine including 20 extra presser feet. The machine is pretty lightweight, weighing at just 13.25 lbs. A dust cover is also included. The cover has a premium look to it, unlike the usual ones you get. Singer H74 definitely comes with a lot of bells and whistles. As a sewer, the question I will be asking is, Will those features turn to performance? Ultimately, quality performance is what I always look forward to. Some users did complain about difficulty in threading. But I think it is more of an operator error. I found the machine very easy to thread. You just need to follow the threading instructions. Most of the errors can be fixed if you read the user manual thoroughly. The machine seems to be louder. The stitch quality is not that impressive. The machine does have some trouble with providing consistent stitch quality. It does struggle with multiple layers of denim. When you sew really fast, the machine seems to lose control. So sewing in the fast mode is not highly recommended on this machine. The monogramming letters are not that beautiful for me. The automatic thread cutter leaves the bobbin thread short. 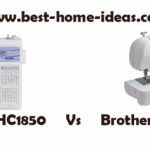 For a sewing machine, the ability to provide consistent, top quality stitches is very important. 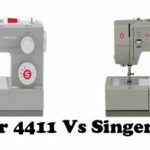 Singer H74 does need some improvement in that section. It does have a lot of features, but I don’t think that those features alone is going to make this a fantastic machine. You can’t say that it operates smoothly, so I can’t recommend this machine to my readers. Another option is to look at Singer 9960. But you need to spend few extra dollars to get this machine (that is the hard part). 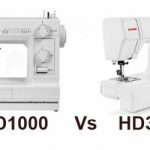 It is far more advanced than H74 with 600 built-in stitches. It is a stunning machine to be honest. That is the reason why it features in our list of ‘Machines You Can Buy With Your Eyes Shut’. It is a frustration free sewing machine. It is way better than H74 in performance.